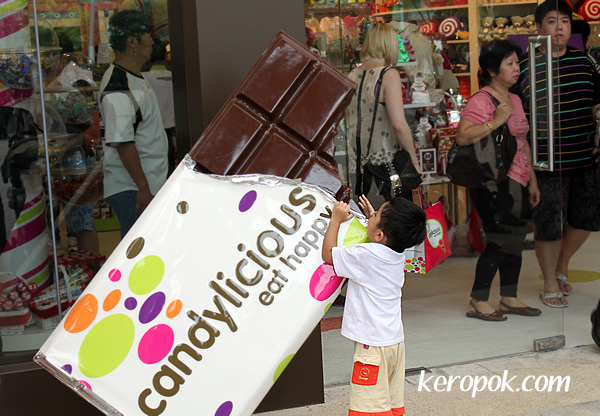 'Boring' Singapore City Photo: hey boy, that's not a real chocolate bar! Saw this at Candylicious at Resorts World Sentosa. This little boy must LOVE chocolates! Candylicious is the biggest candy shop in Singapore. That is so funny, though it could have been me 50 years ago!